Arun Jaitley took to social networking website Facebook on Thursday and slammed the Congress over its manifesto for Lok Sabha Elections 2019. 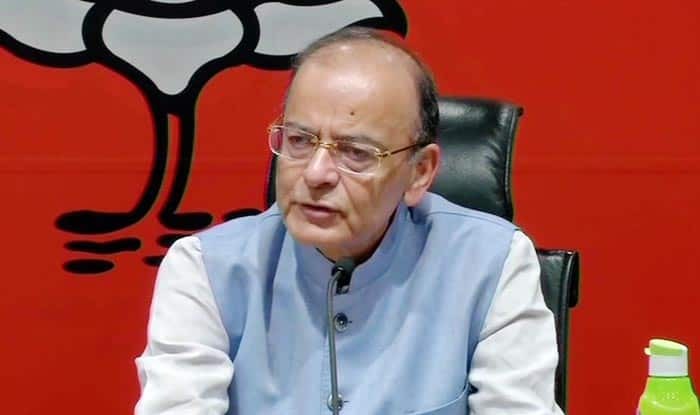 New Delhi: Union Minister Arun Jaitley on Thursday slammed the Congress over its manifesto for the upcoming Lok Sabha Elections 2019. Launching a scathing attack on the grand old party, Jaitley termed the party’s manifesto ‘a Freedom to Destroy Institutions And Help Terrorists’. 1) No restriction in Article 19(2) of the Constitution bears any nexus to the restriction now sought to be imposed. Just as the similar legislations of the decades of the 1960’s and 1970’s were struck down, the same will be vulnerable to any constitutional challenge. 3) With the advent of technology, the concept of cross media holdings stands demolished. NDTV runs a channel and it has a powerful website which serves the purpose of a newspaper. Many newspapers across the country, both national and regional, run news channels, digital websites, and even newspapers. How is public interest advanced that if you run one, medium, you should be barred from running another? Is there a ‘real and imminent danger’ of monopolies being created? Individual citizen like me also write a blog on the Facebook and the Twitter and also release in an audio/ video form. Technology has enabled this. The whole concept of cross holding that if you own one segment of media, you should be barred from having the other is technologically obsolete. History has witnessed, both in the case of fake news and paid news, as also resistance to political and Governmental pressures, professionally managed large organisation are less vulnerable. They have a muscle to resist. Why does the Congress want to unscramble a scrambled egg? This move will meet the fate of the 1988 Defamation Bill.